Canara Bank Securities offers trading in the segment F&O and Currency Derivatives of the NSE segment in the derivative segment. In the cash segment, there are 3 products: BITSOT, IDT and CNC. CBSL also offers online subscription facilities to IPOs and mutual fund schemes in addition to online trade products. The below detailed of Canara Bank Sub Broker features has discussed that will allow readers to have a clear understanding of the products/operations. In below table Customer Ratings for Canara Bank Sub Broker is discussed. Canara Bank Securities has ranked Good on bases of customer experience, services, products, revenue sharing model and offers it provide. The overall rating of the company is 2.5 out of 5 points. Canara Bank Securities has Ave 3.8 star rating from 400 users. Available on Google play store for downloading trading App. Canara Bank Securities is a Public entity firm. The founder of Canara Bank Securities is P S Jayakumar in 2009. It has its head office at Mumbai, Maharashtra. It’s also known as Canara bank securities ltd. and Canmoney’s part of the Canara Bank. Can money offer a 3-in-1, including banking, trading and demat accounts. They are NSE, BSE, F&O, and CDS registered members. Canara bank securities are one of India’s trusted stock brokers and nearly every major city in India presents. The customer may visit the branch of Canara bank and open the commercial account. It takes 28 Days to activate SB Code and 30 days for Payout. In the below table, Business Models of Canara Bank Securities are discussed. Canara Bank Securities are the focus for strategy, special competence, and even growing customers. Therefore Canara Bank Securities have a business model that helps them to grow customers by making business partners. In master franchise Canara Bank Securities allows franchise partner to scattered across other outlets and provinces, resolved by large market enterprises many geographical concerns. A master franchisee is responsible for recruiting franchisees and providing initial training and ongoing support. The Sub Broker provides access to the trading platform of a stock exchange as an agent of the Canara Bank Securities. Accordingly, the stockbroker shares brokerage amount with the Sub Broker. Remisier is a distributor rather than a dealer because its income depends on its sales. Remisier may provide customers with inventory advice. Remisier does not need any infrastructure. In table Commission Models of Canara Bank Securities, stock Franchise is described. In order to start franchising in many ways, the investment fields need to be covered. The commission is an ongoing service fee, payable weekly or monthly to Canara Bank Securities, can also vary quite a lot and depends on the percent of sales. 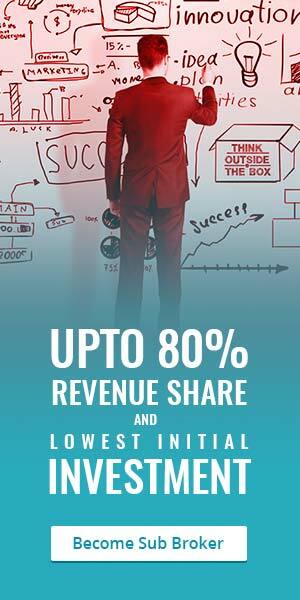 Master Franchise has to pay a minimum of 75% to a maximum of 85% of revenue sharing. Sub Broker has to pay a minimum of 50% to a maximum 70% of revenue sharing. Remisier has to pay a flat 20% of revenue sharing. Below Security Deposit for Canara Bank Franchise is discussed. Canara Bank Securities Franchise pays Security Deposit for business partnership. Franchisors are being paid by using mark-ups on services and research. Master Franchise pays Security Deposit of range Rs. 300,000 – Rs. 600,000. Sub Broker needs to pay the Security Deposit of range Rs. 50,000 – Rs. 200,000. Remisier is required to pay a Security Deposit of range Rs. 30,000. Infrastructure requirement for Canara Bank Securities partnership is mention in the table. Min. 250 Sq Ft of Office Area space is preferred in the prime location for the city of your workstation. Workstation with Internet connectivity is required to set up a trading terminal and back office systems. Minimum 3 employees are required in office to serve customer. Require to provide Research Services. Canara Bank Securities does not permit Zero Deposit to Sub Broker and franchisee. Initial Deposit of Rs. 10,000 is not mandatory in Canara Bank. A flexible revenue sharing option is permitted. Prepaid sharing with Zero Revenue Sharing is allowed. CANROYAL: is the desk-based trading software. Customers must download it for online trading on the laptop or on their computers. It is designed for active traders in particular. Canmoney mobile trading app: For active mobile users is introduced. The customer can monitor stocks on the go and order in NSE, BSE. Superior management Solid Back Office. In the below, table Brokerage charges of trading are discussed. When choosing a share trading platform, you must consider two main costs: the brokerage fee and the current fee. Canara Bank Securities have flexible brokerage plans. Canara Bank Securities Franchise charge 0.40% for trading in equity delivery. Canara Bank Securities sub-broker charge 0.04% for the intraday trading of the equities and also the same for trading in equity futures and currency. For trading in equity options, the charge of brokerage is flat Rs. 60 per Lot. Brokerage for trading in currency options is Rs. 40 per Lot. For trading in the commodity, the brokerage charge is 0.40% of trading. Canara Bank Securities open your demat account for Rs. 500 per Annum as processing fees. For the trading AMC account is free. Account Opening Charges are Rs. 350. Trading in Canara Bank Securities it needs to maintain Minimum Rs. 25,000 of the marginal amount. Transaction Charges are 0.003025 % for trading with the Canara Bank Securities franchisee. Offers 3-in-1 Account all investment solutions. Very excellent customer care support helps in customer sustain. Real time market information provided to clients. Online subscription to a mutual fund. It provides Online subscription for Initial Public Offering. It has more than 20 years of experience in stockbroking. It provides product training and back-office support to business partners.